A project which Syntegra’s acoustics team were involved with has been nominated for an industry award. The New Build Site at Callum Court, 32-42 High Street, Purley, has been shortlisted in the Best Small Development category at the First Time Buyers Awards 2019. Awards literature says the award ‘will be given to small developments that have used the best design and quality to create desirable, affordable and inspiring environments in which people wish to set up their first home.’ The award is for schemes of fewer than 35 homes. 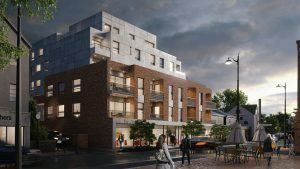 Syntegra was engaged by FS Properties to discharge the planning conditions and accordingly ensure that significant adverse impacts due to noise levels on the future residents of the apartments were avoided. The apartments were constructed above an existing restaurant in a former office building. The work involved carrying out noise measurements at site over a 24 hour period to establish the existing noise climate followed by an assessment to determine maximum plant noise levels for the extract fans from the restaurant and any other plant. Additionally, the team used the noise measurements to determine future internal noise levels for the residential parts of the development by determining the sound insulation of the future lightweight façade and glazing and ventilation requirements. 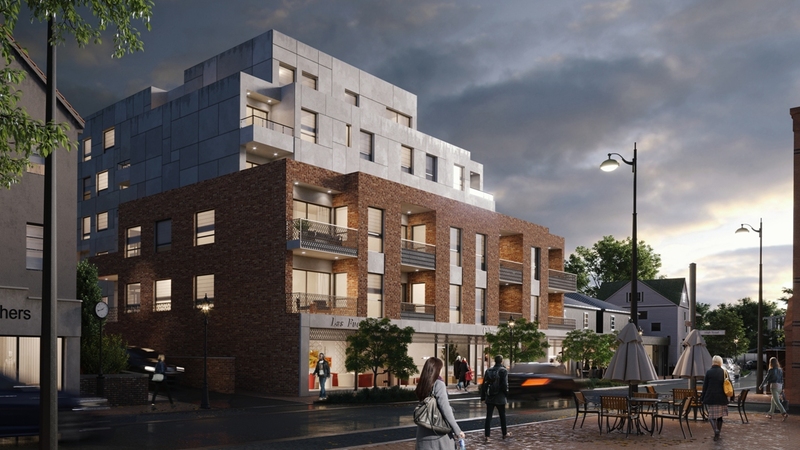 Finally, a detailed assessment was completed of the sound insulation of the proposed floor/ceiling structure between the ground floor restaurant and the future first floor flats which are a range of one to three bedroom residences.